Want to see whats coming up in the New Changes on This years 2018 iPads? 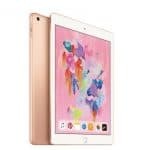 iPad Pro Fort Saskatchewan Wikipedia describes the iPad Pro best read it here: “The iPad Pro is a line of iPadtablet computers designed, developed, and marketed by Apple Inc., that runs the iOS mobile operating system. It is currently available in two screen sizes, 10.5-inch and 12.9-inch, each with three options for internal storage capacities: 64, 256 or 512 GB; the 512 GB configuration making the iPad Pro the first iOS device to offer that storage size. The first iPad Pro, the 12.9-inch version, was announced on September 9, 2015, and released on November 11. 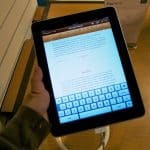 It is larger than all previous iPad models and the first iPad tablet to feature LPDDR4 RAM. 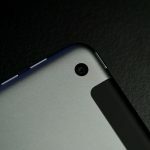 The 12.9-inch tablet was later followed by the smaller 9.7-inch version, which was announced on March 21, 2016, and released on March 31. At WWDC 2017 on June 5, 2017, an updated generation of iPad Pro was announced. This updated generation features A10X Fusion processors, a base storage capacity of 64 GB and highest of 512 GB, an upgraded display and a new 10.5-inch version to replace the 9.7-inch model; the 12.9-inch version was refreshed and both screen sizes were released on June 13. 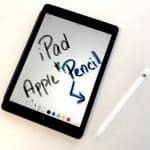 Following this announcement, the first generation iPad Pro was removed from the Apple Store.” You can read the rest of the article here. iPad Pro Fort Saskatchewan Available at Telus Fort Saskatchewan in the Cornerstone Mall! 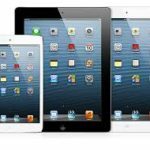 Up to $100 off select Apple iPads with Easy Tablet You can get up to $100 off the upfront price on select Apple iPads when you sign up on Easy Tablet. Discount varies by rate plan for Consumers. Customers can combine this offer with the tablet and smartphone bundle, and save as much as $255 (depending on the device and tablet rate plan).